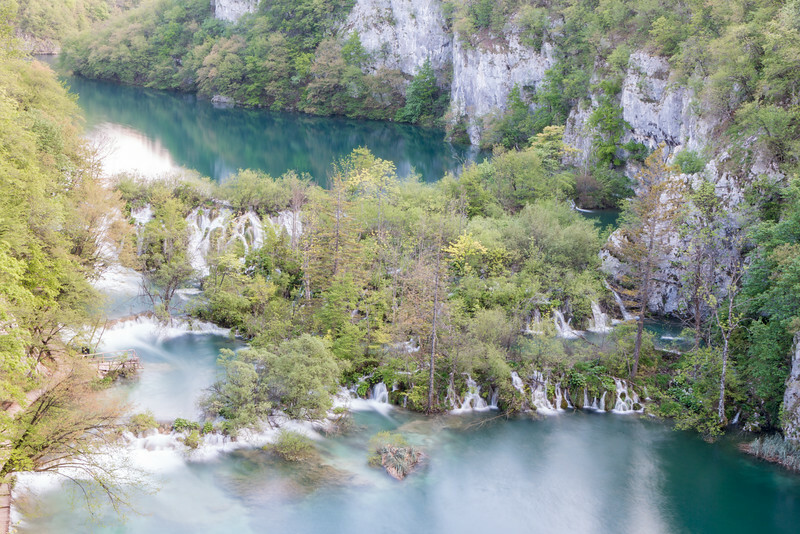 Plitvice Lakes National Park is Croatia’s most famous nature destination and also one of the most visited in the country with over 1 million tourists passing through to admire its cascaded lakes every year. 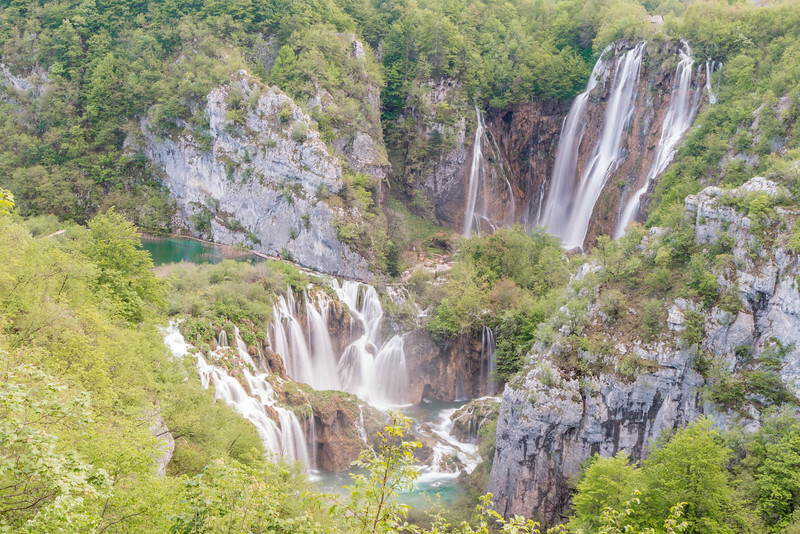 Also known as Plitvička Jezera in Croatian, Plitvice Lakes is the biggest of the 8 National Parks in Croatia, one of the oldest in Europe, and a UNESCO World Heritage Site. The 16 lakes of the park are known for their beautiful changing colors with different tones of green and blue, and separating them are natural dams that create over 90 waterfalls! Together they have an area of around 2 km2 and are split into upper and lower, with 12 and 4 lakes respectively. There was no way we could’ve skipped this while in Croatia! The park is much bigger than what we thought and the lakes section is merely a tiny percentage of what is available to explore. 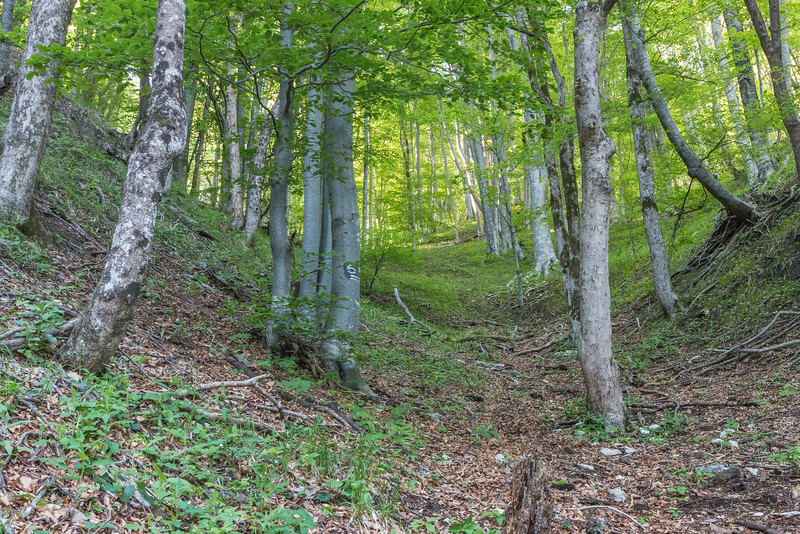 The heavily forested and pristine landscape is home to many different species of flora and fauna, including bears (the symbol of the park) and wolves – but they’re deeper into the mountains. Are you convinced yet? 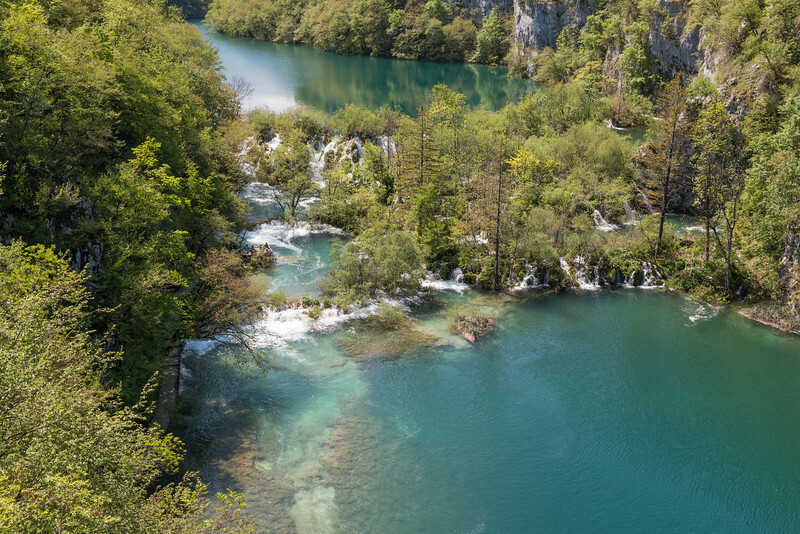 It surely didn’t take us long to add Plitvice Lakes to our itinerary and we decided to spend one full day visiting the lakes section of the park. 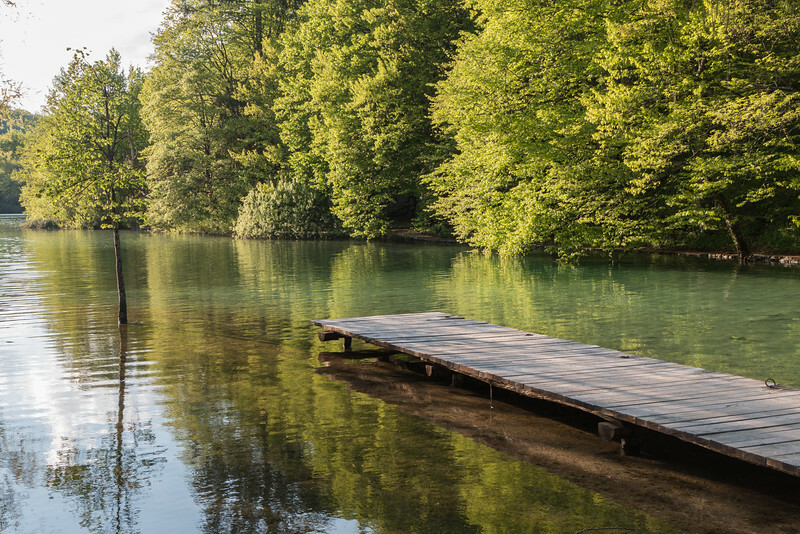 Let us start by saying that Plitvice Lakes offers excellent conditions for those visiting the park to have a great time, and this includes well-maintained walking and hiking paths, signage, and transportation. Not to mention the outstanding beauty of the lakes, of course! There are two main entrances to the park (1 and 2) and this is where you can buy your tickets. For more information on ticket prices, read more on the “practical info” section below. 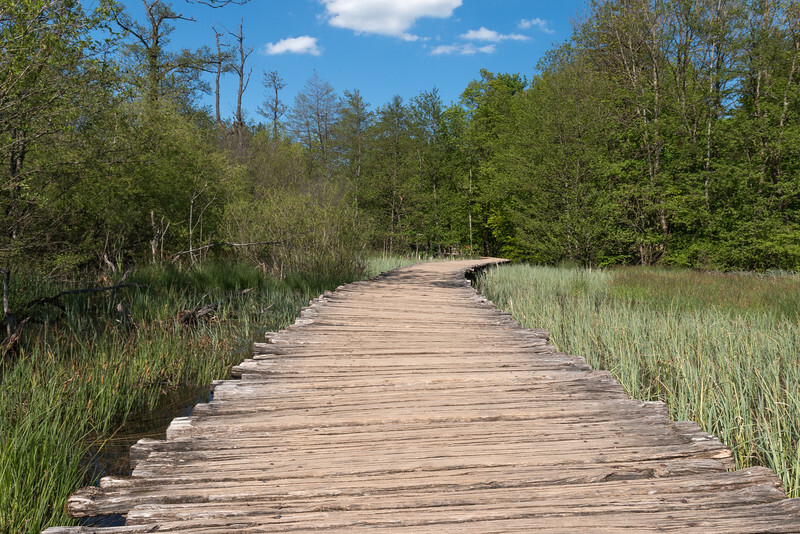 A mix of gravel and wooden paths will guide you around the 16 lakes of the park. The best parts are the suspended wooden walkways and bridges, which take you above some of the lakes and waterfalls. Seeing and hearing the roaring noise of the running water is probably the best thing you’ll experience in the park. Just be careful not to fall. 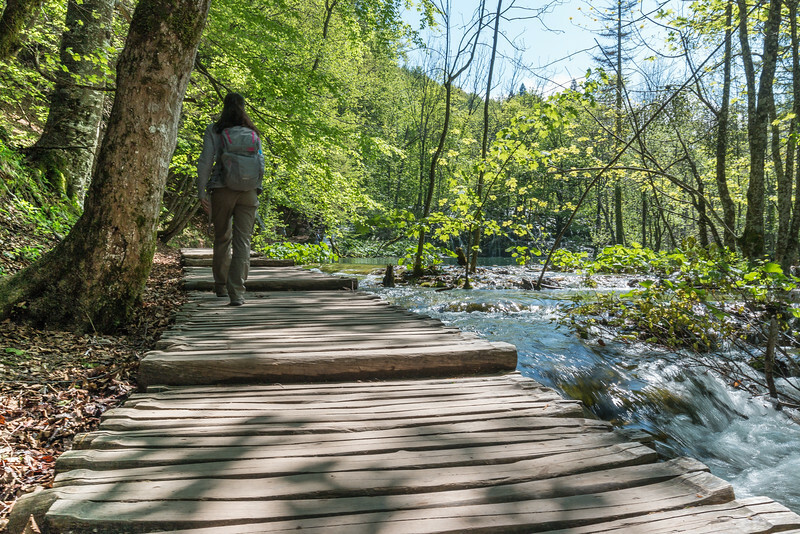 Visiting Plitvice Lakes is all about walking. There is no other way to see the park and, although it’s not very demanding, you’re likely to walk for a few hours, so we recommend comfortable walking shoes. We wandered around the park with no rush and were able to visit everything we wanted to in one day. Refer to the visiting programs of the park to get a better idea of the available paths and transportation stops. If you have a full day, aim to do routes H or K.
There are also other longer hiking trails that we’re not covering here as they only apply for those staying more than one day and looking to explore more of the backcountry. 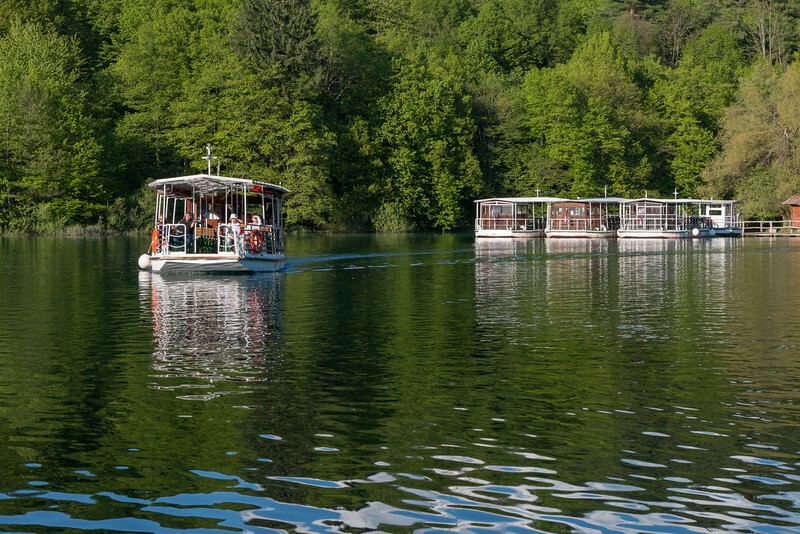 Transportation inside Plitvice Lakes is free and this includes the electric boats and the shuttle buses, both with 3 stops within the park. P1, P2, and P3 for the boats and St1, St2, and St3 for the buses. These cover the main areas and are a very convenient way of getting around. Queues for the boats are normal and we had to wait for 2 boats before being able to board from P3 to P2. We used the bus later in the afternoon to get from St2 to St1. You can also rent a rowing boat by the hour at P1, so you can leisurely wander on your own. There are only 4 lower lakes but they have some of the most famous views in the whole park. 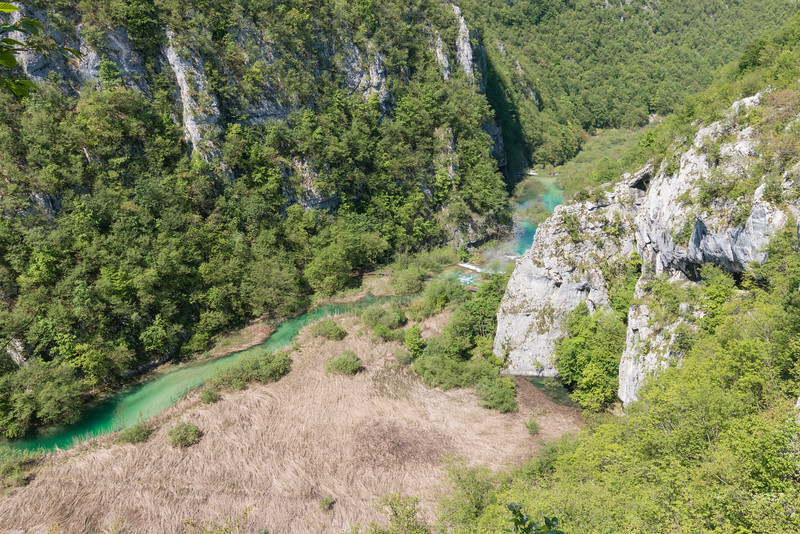 Starting from entrance 1, we quickly reached a few viewpoints where we were able to see the magnificent Veliki slap (the Great Waterfall) and get a bird’s eye view of the lakes and suspended walking paths with a perfect mix of water and lush green vegetation. Unfortunately, we didn’t explore as much of the lower lakes as we would have liked to because it was partly flooded and the water was freezing cold. Yes, we tried to cross the flooded section but failed. The lower lakes end with the formation of the northbound Korana river. 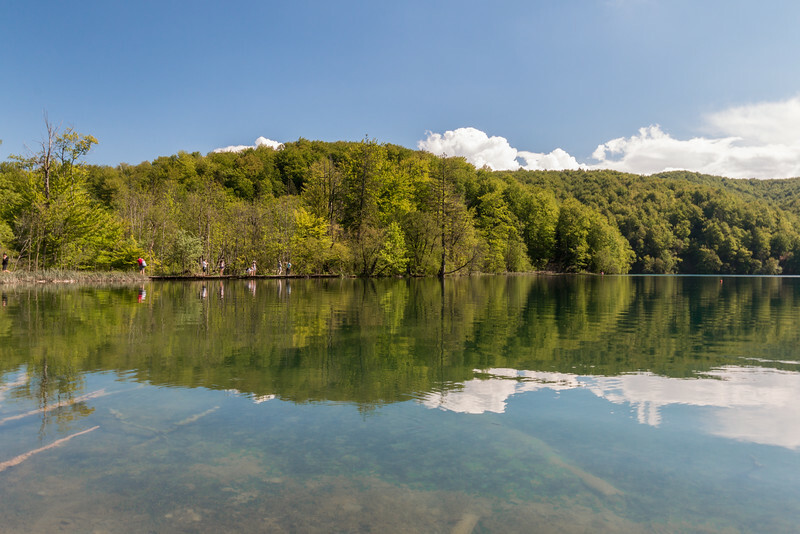 The upper lakes offer a lot more to explore, on foot and also on water as a boat trip across Kozjak lake is a must-do of any visit to Plitvice Lakes. Some of the wooden walkways of the upper lakes are truly spectacular and rank amongst our favorite bits of the park. Even with the refreshing waterfall spray on our faces. 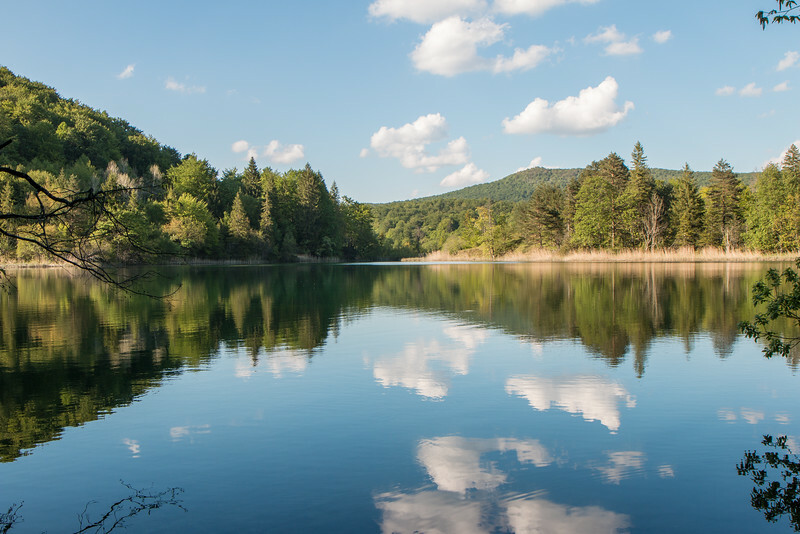 We tackled the different paths on both sides of the lakes, admiring the greenery, water and reflections around us, all the way to Prošćansko, the southernmost lake, and as we went further afield, it got considerably less crowded. TIP: Most people prefer to visit the lower lakes and the initial part of the upper lakes. If you start at the upper lakes, you’re likely to encounter fewer people later in the day. 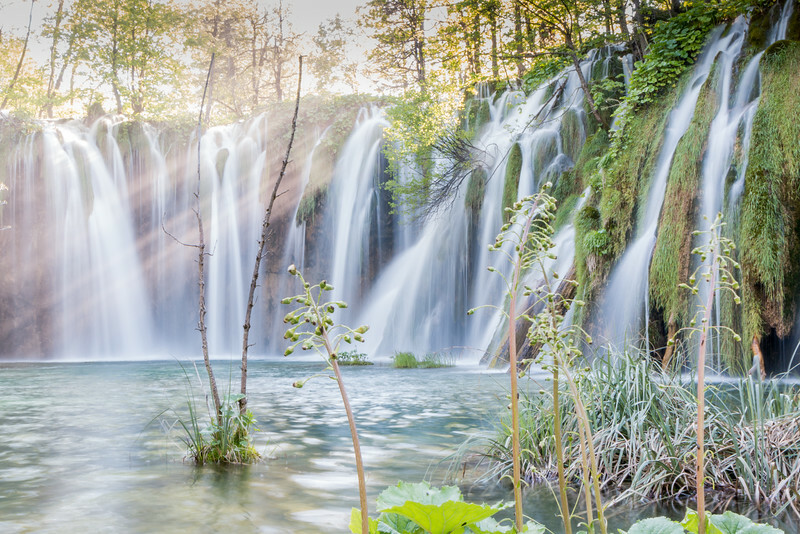 We’ll leave you with some pictures that we hope will inspire you to visit Plitvice Lakes National Park. 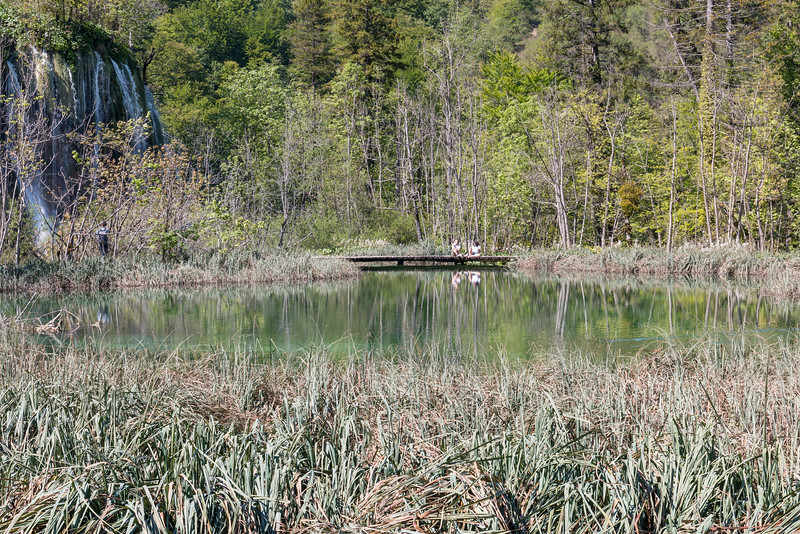 We visited Plitvice Lakes well into late spring and found it to be a good balance between good weather and crowds. It didn’t feel very crowded, yet some walkways were a bit narrower and trickier to navigate. Also, the water level was quite high and the waterfalls were in full power throughout the park. Because of this, part of the lower lakes was flooded. Most people are visiting as part of a group, likely a day tour, which means they arrive quite late and leave earlier. Take advantage of this! Autumn has similar characteristics to those of spring, with September and October being good months to visit. As for the summer, we know a few people that have visited in July and August, and besides the high temperatures, the park feels a lot more crowded. Although if this is the only time you can visit, it’s probably best to go! Winter is quite cold and the lakes freeze. It’s also cheaper and not crowded at all. To be honest, we would love to visit in winter as the lakes and the park look spectacular in winter colors. TIP: Staying overnight gives you the possibility to stay longer in the park, either early in the morning or late in the afternoon when the tour groups are not around. From mid-afternoon onwards, we found that pretty much everyone had left and we had plenty of time for ourselves and to take photos. Although the lakes look very inviting for a summer dip, swimming is strictly forbidden in the park. You can buy tickets for one or two days and the prices vary per season, with the summer being the high season. As of 2016, the price for one adult is 55 Kuna/7 € in the low season, 110 Kuna/15 € mid-season, 180 Kuna/24 € in the high season. This price includes all the transportation within the park. 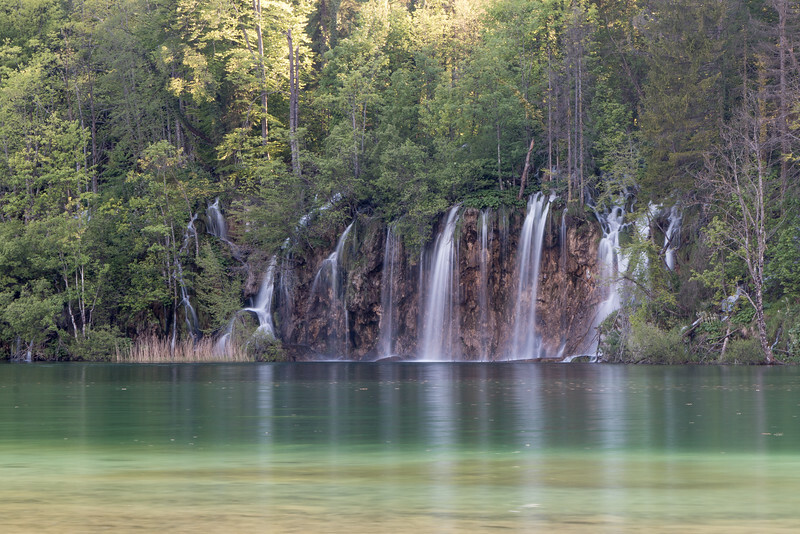 You can find more about Plitvice Lakes on their official page. We stayed overnight at Guesthouse Sven, a pleasant family-run guesthouse within walking distance from entrance number 1 and with views towards the large waterfall. Around the park, you’ll find some hotels and also other guest houses and b&bs. There are decent roads connecting Zagreb and other main cities such as Zadar, Split or Rijeka to Plitvice Lakes. Renting a car, joining a tour or catching a bus are all possible options. We drove from Zagreb and it took us 2h to travel the 130 km distance. From Zadar, it takes 1h 45m (120 km). If you’re flying to Croatia, Zagreb and Zadar are the two closest international airports. Plitvice Lakes National Park really lives up to the expectation and is a magnificent place to visit. 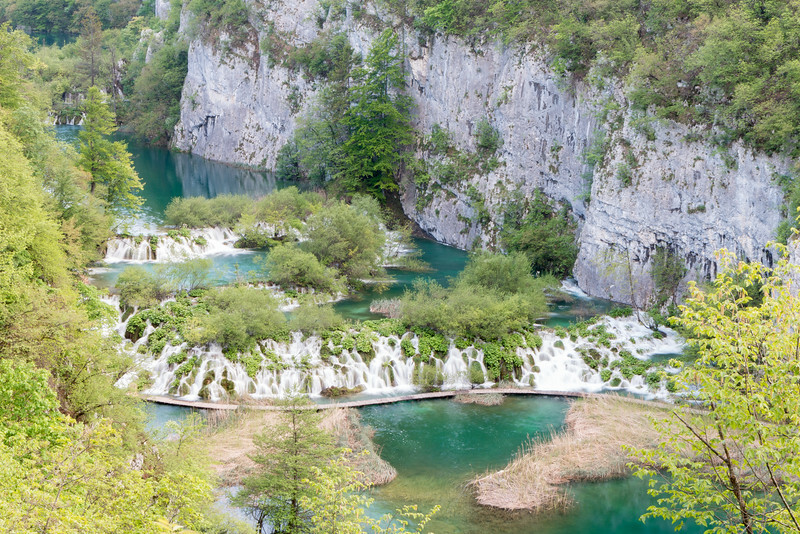 Are you planning to visit Plitvice Lakes National Park and Croatia? Let us know in the comments below. Your images of the place are absolutely incredible. I’ve wanted to visit Croatia for so long, and this is just making me crave it even more! Gorgeous! 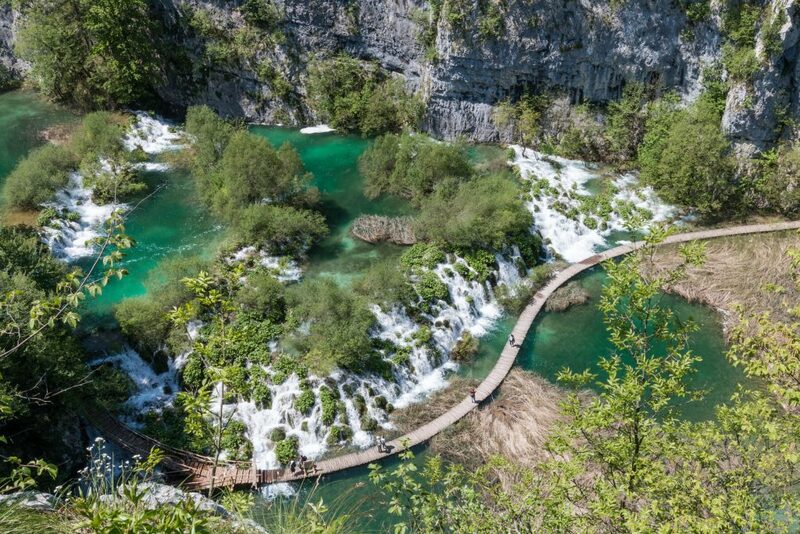 I’ve never been to Croatia, but when I do you can bet this park is on my list! Definitely a place to visit when you get to Croatia. Bookmarking this, excitedly. 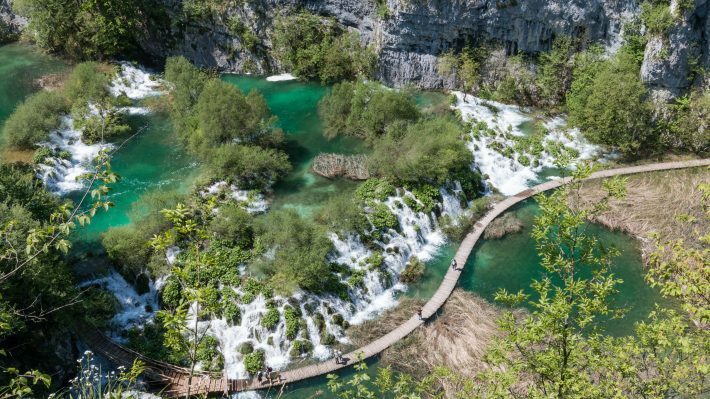 I’ve wanted to visit since I first heard of Plitvice. Great pictures. The lakes national park is stunning and your photos capture that beauty so well. That rustic board walk disappearing into the trees has me wanting to hop on a plane. Do you know why they don’t allow any swimming in the lakes, they do look so inviting, is kayaking or water craft allowed at all? It’s a world heritage place and nature is very sensitive (the natural dams) there. That’s the main reason why swimming is not allowed. It’s a beautiful place to visit! First of all: Amazing pictures. Really beautiful shots. I have seen pictures before and wanted to visit but now that is very high on my list. Upper falls or lower ones – I would love to see it all and stay there overnight for sure. Plitvice Lakes National Park looks amazing. It’s definitely somewhere I want to see for myself one day. Thanks for all this great information. Amazing! I definitely plan to visit! Croatia seems like an underrated place to visit for such a beautiful country, I’m now moving it up to the top of my list. Indeed! Croatia is probably the most popular Balkan country these days yet still largely unexplored. I wanted to do a day trip here when I was in Dubrovnik. Unfortunately it was a bit far away. I really must get back there and visit, its so pretty! It’s a bit far from Dubrovnik but certainly worth the trip. Next time! Wow! Those falls are amazing. My mom is actually traveling in Croatia right now. I’ll have to see if she made it to Plitvice Lakes. Otherwise I think it’s an excuse for me to drag her back. If not, that’s the perfect excuse for sure! I wonder if Plitvice Lakes National Park belongs to Dinaric Alps? Such turquoise colour of the water probably means it comes from the mountains. The mountains that surround the park are part of the Dinaric Alps but the source of the lakes are 3 nearby rivers. These are probably fed, at least partly, by the mountains. It’s beautiful water… and cold! That sounds like a very good plan! Sleeping there gives you a major advantage vs the tourists arriving in buses.